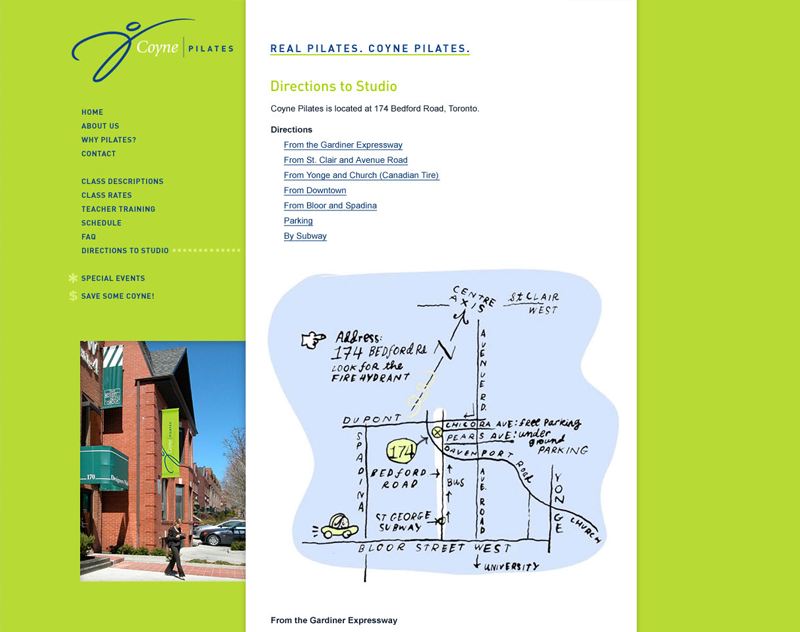 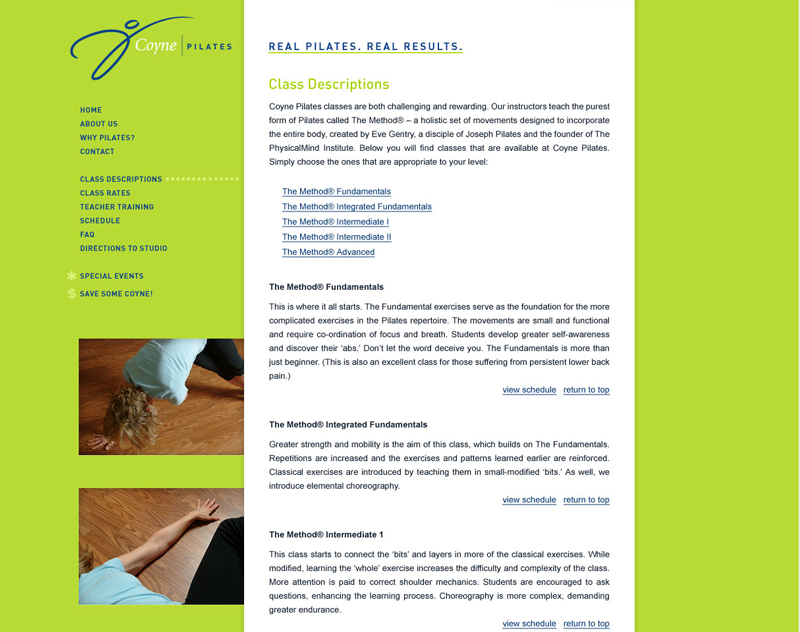 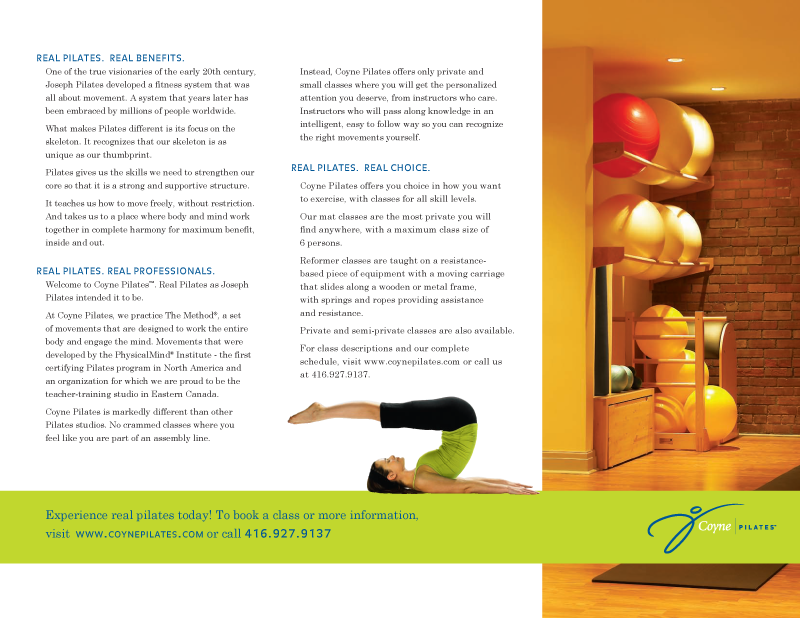 Toronto ranks near the top of world rankings in Pilates studios per capita. 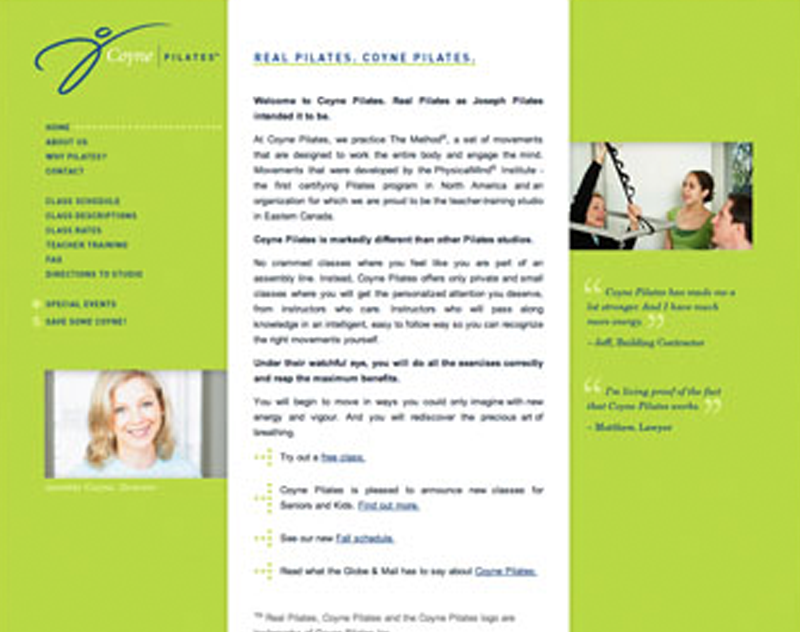 What made Coyne Pilates different, was the fact that its eponymous instructor had studied with disciples of the late Joseph Pilates, the founder of this physical fitness system. 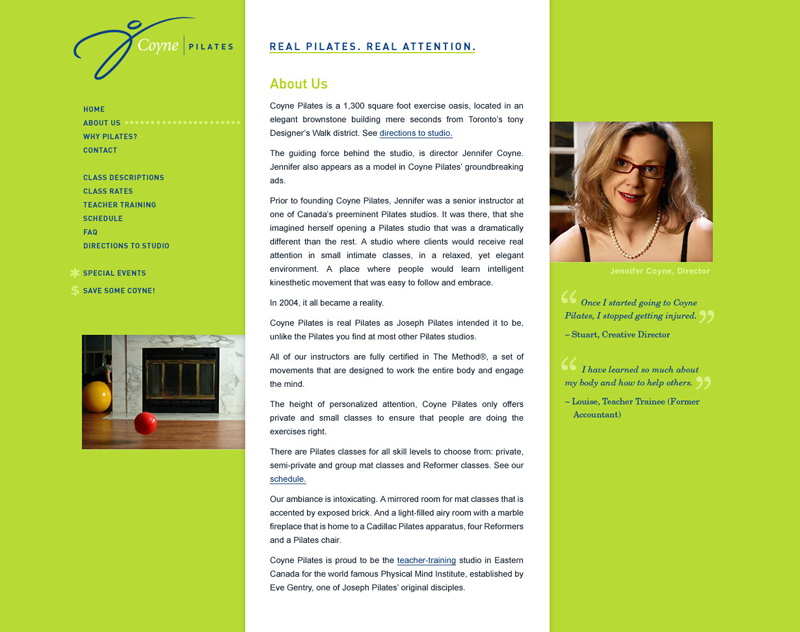 We leveraged this fact in all of our provocative advertising and digital efforts, bending over backwards to establish Coyne as Toronto’s only “Real Pilates” studio. 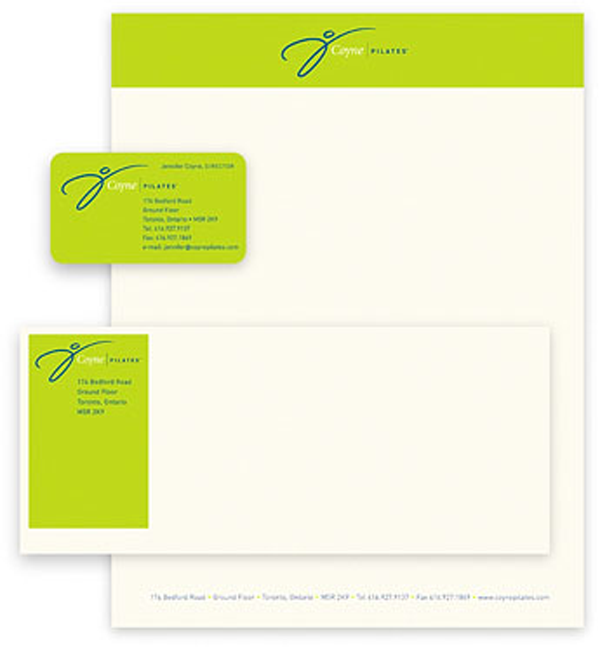 Evolution of brand identity and design of stationary package.